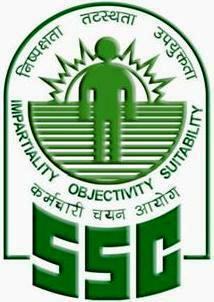 Staff Selection Commission issued the additional results of SSC FCI Exam 2013 for Computer Proficiency Test CPT for Assistant Grade-III for Central Region- Uttar Pradesh UP and Bihar. Additional candidates of CPT for FCI 2013. Food Corporation of India Additional Results from the official website of the commission- http://ssc.nic.in or http://www.ssc-cr.org for central region. Click on the following link and enter your exam roll number then click on the Search Status button to view the result online. seriously yaar,,, ye result kab aayega,,,.. SSC ki hadd hai… i think Jan me aa jana chahiye,,,. any news?? please lets discussed how many percent mistakes in SSC FCI CPT in 2013. In 2012 result 25 to 30 Mistakes allowed. abe tu apna kar raha tha ya doosro ka dekh raha tha..
is bar kitne % mistakes allow karegi SSC. Meri typng tho puri o gyi thi yr bt excel complete ni o paya..pichli br tho excel ki cut off 40 marks gyi thi..koi bta skta h kya reslt kb tk ayega.. Still waiting for result, hope it will be announced in January 2014. CPT IS STILL GOING ON…??? ?CANDIDATES SAYING THAT MPR REGION IS LEFT FOR CPT?????? RESULT WILL NOT DECLARE UNTIL ALL REGION IS DONE……..
jya kisi ko koi idea hai kya ki final selection result kab tak aayega? may be jan end..i ask frm my ssc frnd..bt i m dbt bcz mpr rgn not conducted cpt..hope fr d best..
Total no of candidates available for MPR region is 1021. Now CPT completed in all zones Result would be come in month of Feb mid. As 1021 candidates appears in CPT from MPR region. Hi Guys … My wife's roll number is 6006011329. She has also qualified from MPR Region… But till date wee have not received any sort of communication for the same…. Neither the details has been published over the website… I am bit worried …. Cn any one of u help me to get the details or m confused that I have missed the details as I didnt chked the website from lst 2 monts till date. when wll fci cpt result come? its been 2 years ssc not yet completed itz procedure..
Hi Last time CPT mistakes allowed was 25% for Gen. or 30% for SC, ST and OBC. ssc fci cpt result will come —————————————– 5th of march frnds…………………….. I did the same mistake in passage writing. but my excel sheet was perfectly fine. God knows it matters or not..hope it will not matter finger crossed. Please tell me what will be percentage of mistakes allowed in paragraph typing. I have missed 1 line in the mid of paragraph. What will be my change. I have 177 marks tech. Anyone please tell me result when will be declared FCI CPT. please kisi ko pata ho to exact date bata do result declaration ki……. What about 222 marks in ABD general category. Mera typing aur excel test was fine. Last cut off kitna tak aa sakta hai general category ka? What will be the approx cut off marks of excel in CPT? Can you please tell me? What your internal source says? its march 4th already …does anybody know when ssc will release results???? or does anybody called ssc and enquired about FCI CPT results? hi last time 25 percent error allowed in CPT how was your CPT. kab aayega result.ab to wait karke bore ho gaya hun..
kahan se pata chali tentative date dost? kisi ne pahle 5th march tentative post ki thi.. I too sent the mail to ssc chairman through that link…but all in vain..i did not get any reply..still waiting for the result..
What will be the approx cut off marks of excel in CPT? Can any one please tell me? aa gaya result bhai log..now what will happen? how we will get to know the exact posting location. I have been given south zone n i am living in north. Is there any chance to get posting in north??? please reply.. There are people who have 216(tier1+tier2)as their marks.they are selected.but i have 222 and i m not selected.my cpt was good.only 2 errors in typing and excel was ok..but still my name is not on the list.highly depressing. Guys there is something went wrong in final result..nobody from the additional list from tier 2 has been finally selected..
please lIke this page, who thinks there is something wrong in the final list,..
i totally agree with you…i was also in additional list and i had good score in tier(1+2) and my cpt was also very good……even i was hundred percent sure that i would be select but not happened….i am shocked to see the result ………is ssc has done the mistake in final list……. I got 238 marks in ur category.. Except only two mistakes made in excel, my cpt was fine enough.. Still not selected….!!!!!! How it is possible that total selection under General category in not even 30% of the total selection.its really shocking.somebody need to go to court. tier i+ii 270 marks..still not selected. Is there any chance for second list for post A, B,D. I got 223 mrk in UR category. Not selected. why ssc produced second list as they dont need any one from it? why ssc has played with the emotions of the student …….if they didn't want more candidate ………..why they declare the second list………my cpt was very good ……….my marks was also very good ……still not in list shocking …how can it possible…..i was in second list…but i think they didn't even consider the second list………they should not play with the student career…as we waited a lot for it …and at the end we got the negative response……..i am highly depressed by the result…. What is the usual cutoff to clear this exam..any coaching institute you would recommend to clear this exam ? bhai kisi ko posting kab hogi ye pata hai? Hi admin when the appointment letter be issued to the selected candidates of FCI asst grade 3? Hello Sir, Can you tell me what correct time FCI Issued appointment letter for Passing Candidates. thnkss alot.